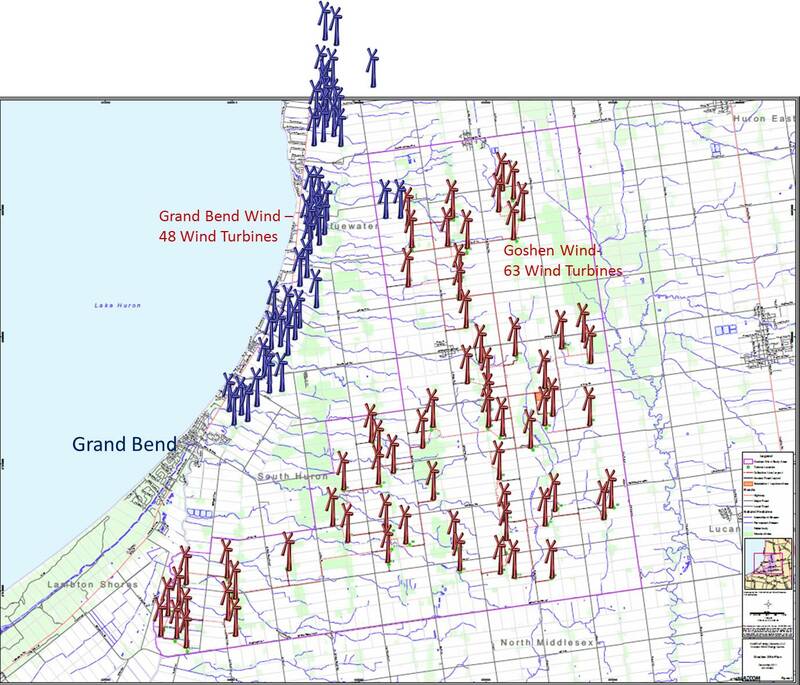 Posted on February 14, 2012, in Goshen Project, Grand Bend Project, Next Era, Northland Power / Grand Bend Wind. Bookmark the permalink. 8 Comments. Ontario’s beautiful “West Coast”…guess it’s still not as pretty as money in the bank for some people. Maybe we should be calling AM740 radio and Dale Goldhawk He has been very successful in creating opposition and stoppages of large enviromental projects in the past. He is sympathetic to helping the average person & taxpayer fight the all mighties like big business and Gov’t. he’s on the air 11AM to 1:00PM daily. Dale has done losts of shows on wind turbines over the past couple years. Really diligent. You can listen to the past broadcasts on AM740s website too. We have friends driven off their farm by the low level vibrations caused by a single windmill less than one mile from their farmhouse. These good people are now living in their RV, forced by politics of silence around windmills, to vacate their home. Too many lives ruined by these machines. Wind turbine refugees, in Ontario. Not right. These Turbines are making people Sick. Nose bleeds., Vertigo etc. Farm animals have bleeding. The noise affects people sleeping. Listen to the people.. People who have had their farms as far back as 1922., are loosing their farms., because their animals got so sick. The Government are Ignoring the situation., McGuinty started it. Now, we must stop it.